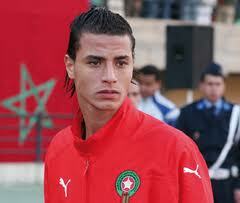 Marouane Chamakh is determined to stay and prove himself at Arsenal. The striker endured an inconsistent first season at the Gunners. PSG are chasing the Chamakh this summer, but French sources say theMoroccointernational is only thinking of a future with the Gunners. Chamakh failed to score a Premier League goal after November last season.